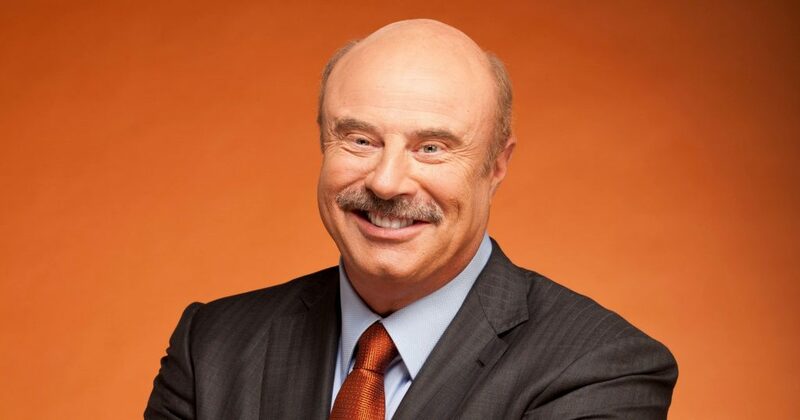 Dr. Phil is behind many life-changing movements for people. He released a book called The 20/20 Diet, in which he describes a new diet he created that focuses on eating from only 20 different types of food. This diet is designed to be a long-term lifestyle change, not just a quick fix. There’s planning involved to make the effects of possible weight loss and overall increase in health last a lifetime through commitment and dedication to meal plans. Many have claimed that the 20/20 Diet has helped them gain control of their Type 2 diabetes and weight loss, while others claim to have more energy among lots of other great results. This diet consists of three phases, followed by a management phase that tackles life-long effectiveness. It’s worked for many people, so it might be an option for you. But, just what is the 20/20 Diet made of and what makes it different from other diets? While other diets may just seem to be an extended meal plan, the 20/20 Diet gives recipes for meals, but puts lots of stress on making healthy life choices in general. The most notable and perhaps difficult part of this diet is mainly consuming nourishment from a list of 20 different foods. These foods include a variety of nuts, legumes, greens, and unprocessed products. The diet works in sequential stages of adding additional foods, but for the most part, your meals consist primarily of foods from these 20 items. The foods mentioned are meant to speed up your metabolism and help you feel fuller for longer. Certain combinations also help create a sort of time release reaction, in which your body feels satisfied and energized for longer periods of time after you’ve eaten. There are three main phases of the 20/20 Diet. The actual layout of the diet is for 30 days, five in the Boost stage, five in the Sustain stage, and 20 in the Attain stage. The final part of the diet, known as the Management phase, doesn’t really fall into a ‘phase’ category because it’s supposed to be carried out by changing your lifestyle. If you don’t reach your goal weight by the end of the cycle, you just start from phase one again and continue through as usual. Each of these phases builds up to more freedom with food as you become better at controlling your urges or temptations with food. This is the beginning of your journey with the 20/20 Diet. During this stage, you follow the recipes provided in the 20/20 Diet and eat four meals a day. Space these meals out with about four hours in between. So, a typical day could look like breakfast at 8 am, lunch at 12 pm, snack at 4 pm, and dinner at 8 pm. The specific timings don’t matter as long as you keep about four hours in between each meal. Continue this for five days. The second part of the diet is where you get to give yourself a little more room for meals. You follow the same recipes as the previous week but can now add in some more variety for foods. Healthy options like mushrooms, tomatoes, tuna, and chicken breast are some of the things you can add to your meals. Continue including the 20/20 Diet foods in at least two of your four meals in the day. In the Sustain stage, you’re also allowed to have ‘sensible splurges.’ These splurges should obviously not be excessively heavy to undo your hard work throughout the week. For a splurge, part of the diet is to think of whether you can distract yourself or fulfill your need for this splurge in a different way than eating. It entails to think actively about why you want to eat and whether you’re eating to satisfy hunger or to cover up emotions. This is the longest stretch of the 20/20 Diet. For this part of the diet, you can add even more variety to your meals from the recipe book. Even more options are available to you in this phase, including whole wheat pasta, potatoes, and canned beans. The same rules apply to splurge sensibly and actively think about what you’re eating during this time. If you meet your goals during the third phase, then you proceed to the last stage. This is basically just changing your mindset on food and helping you produce healthy and nutritious meals. During Phase Three, you can use the same recipes from previous weeks. However, avoid using the ones from the first phase, as these were just designed to get your body pumped and ready for the rest of the diet. As with any diet, it’s best to consult your doctor before making any drastic changes to your diet and exercise plan. Taking charge of your health is a lifelong skill that’s constantly being developed and improved, and that’s a common theme in the 20/20 diet. If you don’t meet your goal one month, you try again the next. You find out which foods work for you from a group of healthy options, and you get creative with them. The 20/20 diet allows you to take control of your meals in a way that’s healthy and fulfilling.